The Audio Innovate Innofader release date is edging closer, with the first mass production of circuit boards happening right now in Taiwan. 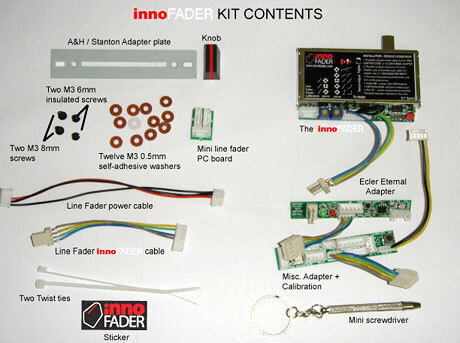 Elliot Marx keeps tweaking, retweaking and ultratweaking the exact spec of the final product but has released details of all the associated chaff that goes into the bumper box of stuff that makes up the final Innofader package. And just to get a glimpse of how the beta testing has gone, Audio Innovator Justin Woo and skratchworx USA's Phillip Le have been abusing various prototypes and have written a few words, and I'm sure Elliot will chip in with comments as well. Adion has been busy updating his long running djdecks software and now the fruits of his labours are out and available in v0.88. And showing its increasing maturity, Adion's hard work earned him a licencing deal with PCDJ - and earned you a price hike to boot. C'mon - you had a good run paying not a lot for some really good software. It means he gets much needed income to make djdecks even better. Sitting in the skratchlab as I do, day in day out, I'd kind of forgotten about the vinyl that I built some rather neat shelves to house, prefering to let iTunes shuffle my music without any logic at all. It reads like a Gizmo timeline, from my first ever purchase - Exodus by Bob Marley and the Wailers way back in 1977, through several other genres right through to the present day. So I figured it would be a cool idea to pull out some gems to listen to while working and discovered a few things about records, and in particular my collection in general. What follows is a press release, that while not talking about specific gear per se, does give you some idea of just what kind of global operation Behringer run. And despite how you might like to look down on the brand from your ivory towers, they run an incredibly tight ship that's about to get even tighter. If you've seen pictures of Behringer City in China, you'll soon understand just how streamlined their operation needs to be to constantly knock out thousands of products each and every day. Perhaps it's the business side of me, but if you want me to sport anything with a logo, you'd better damned well pay me to do it. I guess that comes from constantly hustling for banner deals, but it seems that people do like to wear all manner of ker-razy garms emblazened with words and pictures these days. It also seems that hotdjgear like to make things with DJ friendly slogans on them - all sorts of things and all sorts of slogans, and for anyone anywhere in the world. And for a lucky winner out there, they'll make some for you too. Have you noticed something about deck covers? They just ain't cool. They're dorky and stuff, and frankly not for the happening kids. Only Technics seem to have them and still be down. So why the hell would anyone want to make them for CD decks? Have you been inside a booth recently? 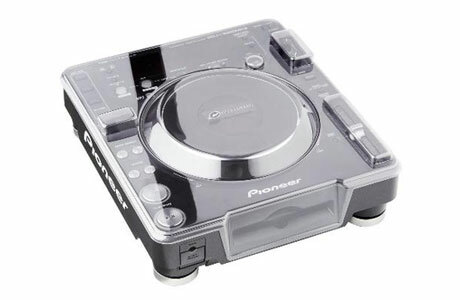 Not exactly the model of cleanliness, thus the Decksaver was born - designed to fit everso snuggly over the Pioneer CDJ1000 MK2 and 3, with more to come. And they look a whole lot cooler than regular deck covers too. While the previously reported Aggito looks to capture the hearts and wallets of pro DJs looking to embrace all that is good in technology, Gorgull's Protein DS aims to radically shorten the life of your DS in a Daley's Decathlon style screen scratching frenzy. I can see hordes of kids doing pack and forth motions in their laps while on the tube as we speak. Around 2 years ago - I had a DVS inspired brainwave. Instead of circular control surfaces, I thought about a treadmill style controller that worked in a simple space saving linear motion. I proposed this idea in the secret braniacs area of the skratchlounge, where it wasn't exactly greeted as the greatest invention since Technics. But Scott Hobbs has clearly been thinking along the same lines, and welding the current hotness that is touch surfaces with this linear waveform controlling idea, he's come up with Attigo - Minority Report for DJs. Traktor users sing along: "NI don't want no bugs, a bug is a...."
If you wanted to beta test your product, who would be the best people to do that? Obviously the end user of course. More often than not, they know more about the product that the people who make it, and having a mass of experts pouring over a product they use day in day out is all good. So Native Instruments are doing just that with Traktor v3.4. Public beta ahoy! Finally, after much messing about with the review and then twisting Korg UK's arms right up their backs and inflicting virtual Chinese burns in the name of funding a Korg Fest (which is looking good people), I kept back the Korg Zero4, Zero8, KM-202 and KM-402 reviews so that I'd have a focus for the feature. But the cry for the official Zero4 review has been heard far and wide. Anticipation has turned to excitement, and now frustration has turned to anger. 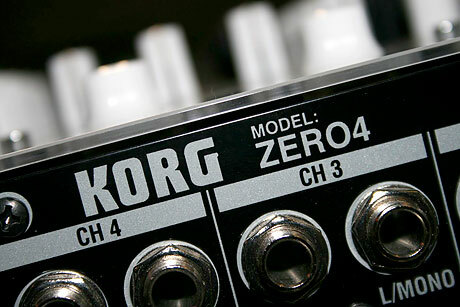 So without hurting my revenue stream too much by jeopardising a Korg Fest, I'm posting the Zero4 review. It's not my policy to announce minor releases of every piece of software going - especially Serato Scratch Live as most users are already all over it like a rash. But this particular point release does more than just a few fixes - it adds long awaited direct hardware support for some Denon and Numark gear, which might make some more hardware based DJs sit up and take note. Trade shows are all well and good, but it's the physical abuse my body takes when tripping off to Messe that's an issue. Laptop, cameras, and a change of clothes shouldn't be too much to carry right? Wrong. Chargers, audio cables, magazines, CDs, vinyl, spare jeans, t-shirts, boots, shaver, toiletries etc etc... before you know it, I feel like I need a van to carry my crap. So imagine my happiness when a super-sturdy Magma trolley and bag combo arrived ch�z skratchworx just before Messe. I'm a sucker for (a) bags and (b) things that are a little different. 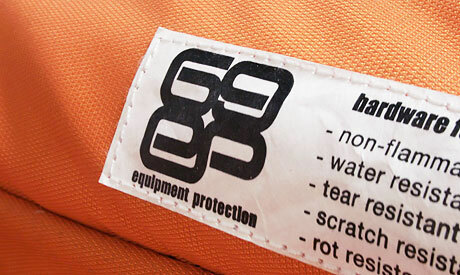 So when I spied the 69ep h bag some time ago, I sent off a mail and asked very nicely for one to be sent to me. As a test it accompanied me to BPM and did a sterling job. But when returned to the mid-renovated skratchlab, it got lost under a pile of various bits of skratchworxdom - until last week. Suffering terrible pangs of guilt, I set about reviewing this stunningly cool bag forthwith. Is it just more or aren't 2 channels enough anymore? the last 18 months has seen a slew of 4 channel mixers hitting the market more or less doing the same thing, the only variable usually being MIDI. 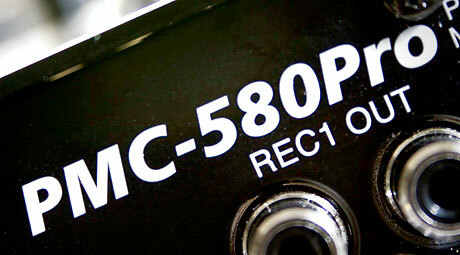 The Vestax PMC-580 has hit the market at a time when it's getting pretty damned crowded on the retailers' shelves, at the top end of the price range and lacking MIDI. But Deft still likes it. A one year old review just getting posted - what's all that about then? Well the answer is simple - we got our hands on the PMC-280 well ahead of everyone else and was duly sent off to new blood Liam Parry for him to pour over and write some suitable words. Right from the off we spotted some problems, which we felt were big enough for us to talk to Vestax and share our concerns and hold off publishing the review, in the hope that they might fix a few of these things before going into full production swing. While they accepted our thoughts, production was too late to halt. So here we are one year later with a review that we think should be seen. For many years, my ears were being beaten senselessly with dodgy small club sound systems and my own audio being pumped out through a home hifi. Then one day, a pair of Stanton ATM.6s arrived and it was as if my ears had been syringed and an entire range of audio frequencies that had been previously been hidden from me were suddenly injected into my head in glorious Dolby surround sound 5.1 or something. These ATMs are in fact KRK RP6s in a new box and sound like heaven to my old ears. 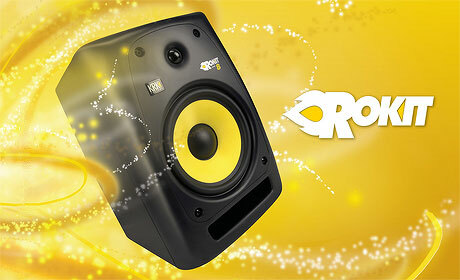 And next up from KRK are the sequels to the RP series - the G2s. My age, relative to all you hot young things that frequent these parts, is well know. Even my own reviewers mock me, comparing the number of knobs on a Zero8 to my years. So you might expect that when I see the word "retro" on some press blurb, I'm all over it like a rash. This is all about Native Instruments' rather lovely looking KORE 2 hardware effects controller doohicky and how you can get a shedload of vintage synth and drum machine sounds for it. You may recall my glee at finding a Mac only piece of DJ software, especially when so many other packages are just catching up or simply don't bother with a a Mac version at all. 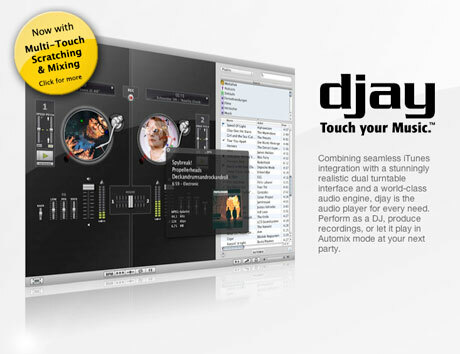 Then imagine my intense joy when this software - djay - is actually rather good and in true Jobsian philosophy, thinks different. Rather than being yet another remix of the Traktor metaphor, it actually aims to look and feel like real djing and does a pretty good job of it as well. The good news is that v2.1 is available and embraces the new fangled multitouch trackpad gestures. I think I've sussed out Gemini's release schedule. Power buyers wait anxiously for the big shows to hit for the next instalment of nextlevelness designed to plunge them into more debt than many third world countries. This is not your average Gemini customer, who on the whole are looking for something right now that is easy on the pocket and on the brain cells. For this reason, Gemini releases would get lost in the sea of new hotness, thus they release in the gaps between the big shows making their releases memorable and importantly reportable. This does explain why we're seeing a glut of new Gemini releases this month. 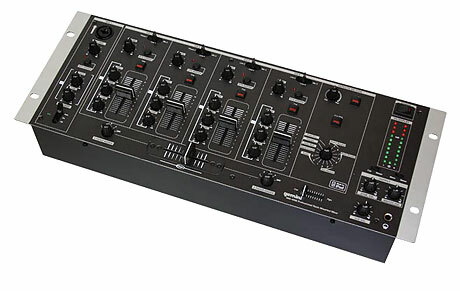 This week, it's the MM-4000, a 4 channel fx laden mixer. 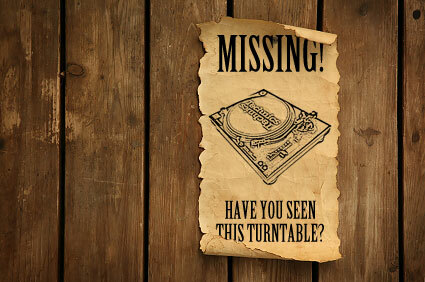 Technics Technics - where for art thou Technics? While the currency here at skratchworx is hard facts, there are times when murmurs of idle speculation becomes a stream of absolutely must be investigated and commented upon sort of semi-fact. One such bad smell of a rumour surrounds Technics and the alleged famine of 1200s and 1210s. I've had mails, from idle gossips to distraught fanboys, all of which speak about just how thin on the ground God's own turntable is right now. So donning my investigative journalist's hat for a moment, I set about padding out this rumour with fact, or as the case may be, just more rumour. I think it's time to address the somewhat thorny issue of the security code used when making comments. 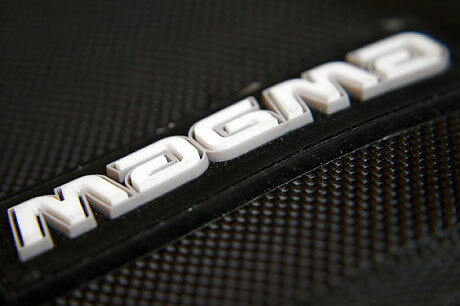 We seem to have a love/hate relationship with it - I love it and you all seemingly universally hate the damned thing. Not wishing to piss you off even further, allow me to explain why it's there and also shed some light on just how bad life would be like without it. When someone sends you something in the post, I usually think "awwww that's very nice of them". 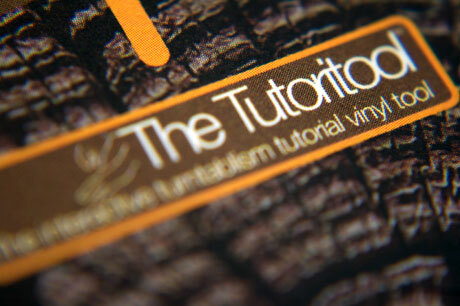 But when that package contains a turntablism tutorial, my paranoia kicks in and I start to wonder if Pedestrian are trying to tell me something... I needn't have worried however as they just wanted me to take a look at the sequel to the Tutoritool - the Second Edition as they dub it. As you know, we like small mixer round these parts hence proposing the Faderbox to you all. But where we went all narrow with one fader, Cortex have gone all rack mount on us and made a mixer that all wide with one fader. Wouldn't really want to balance that between a pair of 1200s though. New gear time. Gemini seem hell bent on having the largest product line in the history of product lines. And despite already having a bewildering range of stuff, they figure it couldn't harm to add 3 more bits of stuff just to confuse us even more. This time, the CDMP series debuts, packed with the usual amount of digital goodness that we demand. I just wish Gemini would have a bloody good cull of the product range. And for the love of God, please stop with the long product names. Couldn't you just call them real names instead of a string of letters and numbers? The downturn in the global economy is hitting hard everywhere you look. Credit crunch this, negative equity that - but notably it's confidence in the high street that is also being hammered, as well as an evolving internet based retail model that hitting the shops hard. So it comes as sad news (but not necessarily surprising) that UK high street music retailer Sound Control has gone into administration and closed 10 stores, leaving 14 stores trading for 90 more days until a buyer can be found.